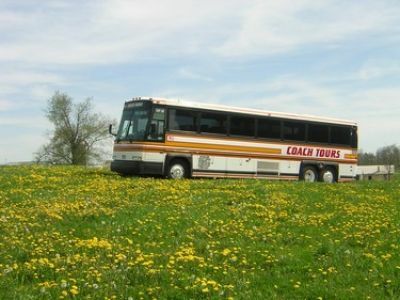 THIS IS A 1998 MCI 40FT COACH. 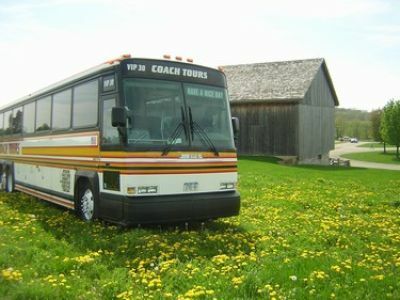 THE INTERIOR IS SIMILAR TO THE 2006 PHOTO THIS UNIT IS TYPICAL OF THE TYPE USED BY GREYHOUND, TRAILWAYS AND SEVERAL THOUSAND CHARTER COMPANIES IT IS THE LARGEST SELLING 40 FT MODEL IN THE U.S. IT WAS PRODUCED FROM 1993 TO 2006 IT HAS 47 RECLINING SEATS, LAVATORY, VIDEO SCREENS, LUGGAGE BAYS UNDER THE COACH.